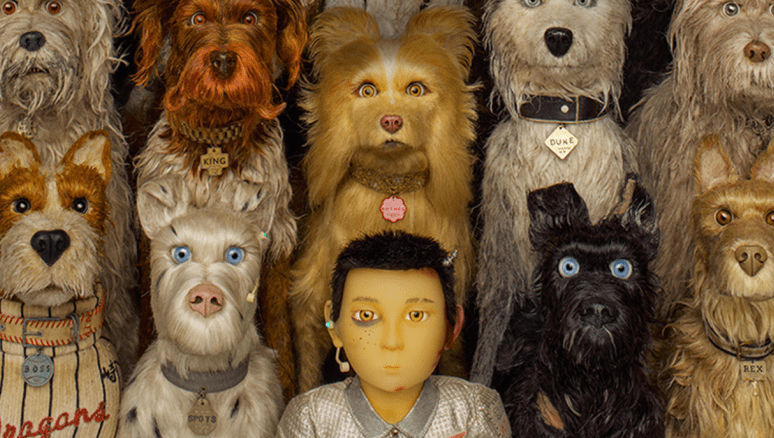 Isle of Dogs is director Wes Anderson‘s second venture into stop-motion animation following 2009’s Fantastic Mr. Fox and from a technical standpoint it’s everything you expect. The story follows a young boy by the name of Atari (Koyu Rankin) who with the help of five dogs goes in search of his long lost dog Spots (Liev Schreiber) on Trash Island. When it comes to the animation, the cinematography, and the score this movie is exceptional and I expected nothing less from one of Anderson’s films. He has a very specific quirky style that he brings out in each of his stories and it’s what sets him apart from a number of other directors. However as far as the story and characters are concerned I wasn’t really hooked throughout this entire film. I didn’t feel much of a connection to the characters and the relationships and I didn’t get enough from the story to really grab me and hook me in. There are some nice story beats here and there but for the most part I just personally couldn’t get into it. Lets begin with the cast because the list of A-list voice talent in here is so extensive I could go on for ages listing off everyone. There are strong performances from Jeff Goldblum (Duke), Bill Murray (Boss), Edward Norton (Rex), Bryan Cranston (Chief), Scarlett Johansson (Nutmeg), and Greta Gerwig (Tracy Walker) amongst others and everyone plays their role really well. As an ensemble they’re a very talented bunch and each performance compliments the next to where there isn’t really a clear standout role. And I actually like that about the film, of course some of the dogs get more screen-time and development than others but overall I remembered characters as part of a group as oppose to as individuals. So in terms of the storytelling don’t get me wrong, it is very easy to follow, it’s well written, theres the element of this dog and owner bond that works, but I personally wasn’t extremely invested in what was going on. I don’t think it has to do with Anderson’s style of filmmaking or the stop-motion animation genre specifically as there are a films in both of those realms that I love. It might just be a combination of things from those realms and the way the story is told that I just didn’t really gravitate towards. There is heart in the story and I feel like a lot of people will respond to that especially if they have experienced a strong bond with a dog in their life. As a whole however it didn’t hit for me. But as I mentioned, from a technical standpoint this movie is exceptional. Everything is done with Wes Anderson’s style in mind and it connects everything from the score to the cinematography and set-design in a fantastic way. This is always the clearest identifier to me that Wes Anderson is a phenomenal director in the way he manages to bring all of these departments together and express his unique style concurrently through all these avenues. Tristan Oliver is the cinematographer here who has worked on a number of stop-motion features including Anderson’s last venture into the format, and his work is exceptional. Oliver applies his experience working on stop-motion projects and brings out that Wes Anderson quirkiness in every shot and scene transition, making the most of the format by executing things that can’t be done in live action. Anderson re-teams once again with Alexandre Desplat who helms the score and it’s a very playful and hard-hitting score that links with the tone of the story really well. It’s such an integral part of each and every scene that it’s almost impossible to ignore. So, in the end Isle of Dogs is a film that as far as the story goes I personally didn’t resonate with it as much, but on the technical side of things it’s very meticulously crafted across a number of departments. Wes Anderson brings everything together and makes it all feel like a unified project with a single consistent tone evoked through the score and cinematography specifically. The stop-motion animation is precise and seamless with a high attention to detail really paying off in the end. Fans of Anderson’s work will no doubt get a lot out of this film including the story which I don’t think is necessarily bad it just didn’t work with me, and I know I’m in the minority there. Not his best, but still a lovely Wes Anderson flick. Nice review.